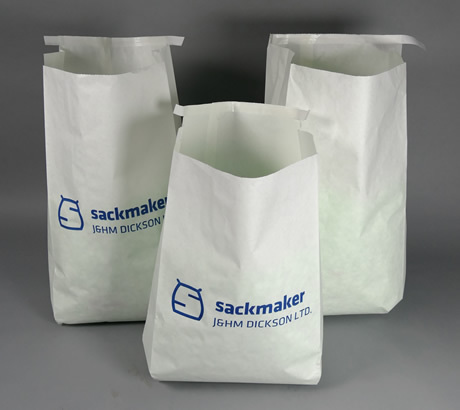 Sackmaker supply a range of Woven Polyprop Sacks for recovering Waste paper & Confidential Data from offices & business premises. 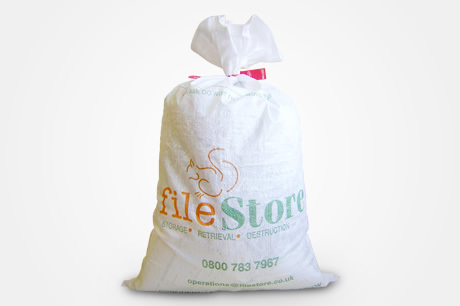 Paper sacks for Confidential Documents - Shred the bag with the contents! Available in two sizes, our strong single ply paper sacks have a peel & seal type mouth and can be safely shredded/pulped along with the contents. 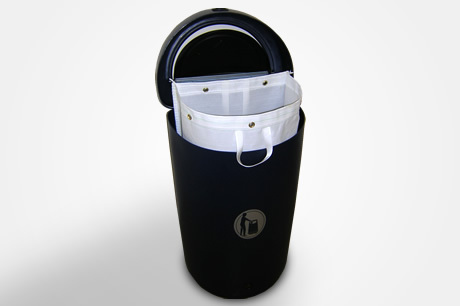 Available plain or printed with your logo and instructions. Dicksons waste paper sacks are made from high quality polypropylene to ensure unbeatable durability and a maximum number of uses. 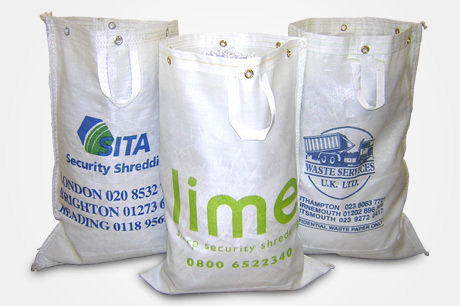 Sackmakers sacks are perfect for the collection and transportation of office waste paper and confidential documents. Woven sacks are ideal for protecting sensitive documents during transport and can be customised to suit your individual needs, we make sacks to fit inside boxes and can supply drawstring sacks for fast and secure closure by office staff and collection crews. All our WPP sacks can be supplied pre packed in small bundles complete with standard zip ties or numbered security ties & customers information leaflets as required. For high security and maximum longevity and re use, Sackmaker also manufacture heavy duty woven sacks with eyelets suitable for use with security ties or padlocks. Dickson sacks supply waste paper bags and security shredding sacks to all the major confidential destruction companies in the UK who uplift waste paper from banks & building societies and companies who need to transport or dispose of confidential documents & data.